Beautiful Midden to date has been largely a volunteer initiative. 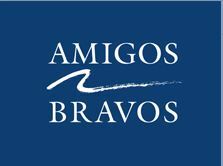 Every dollar you contribute goes a long way in helping sustain our ongoing work to facilitate a positive transformation in our community, and fortify our collaboration with Amigos Bravos. We appreciate it wholeheartedly! Beautiful Midden is a project of Amigos Bravos.